Illegal LPG refilling dumping in several areas of Hyderabad seat. The delivery boys working with gas agencies, along with other staff, purchase trademarks of domestic shipping cylinders and moving to their stairs. In secret camps, domestically gasoline cylinders are gas and refilled into small cylinders. Bachelor's staff, where students are staying in the city, use mostly small cylinders. Because the official does not have gas connections, they buy small gas cylinders and use it for cooking. Some proprietors who have been propagated have set up refugee centers in the gasket stores and continue to illegally go. Some traders in the suburbs mainly pull out gas from domestic cylinders and refill into small cylinders. Cars are also illegally refueling gas into vehicles and cars. Citizen officials who are intent on intimating these irregularities are accusing allegations of negligence. 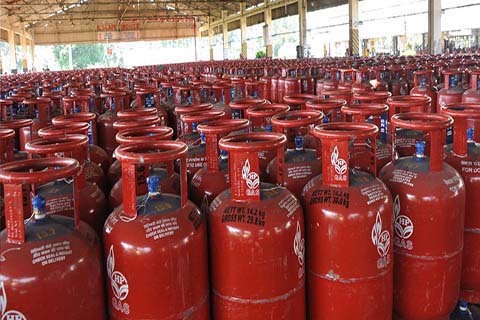 Domestic cooking gas is taken from gas agencies in the city of Maha. Similarly, the price of gas is filling up commercial vehicles is more expensive than cooking gas. Illegal merchants are taking gas from domestic gas cylinders and refinancing in cars. At present, about 20 per cent of the jewelery was found to be illegal smuggling by the autos. The demand for illicit business increased after two days of gas was required. Mainly the city was illegal in parts of LBNagar, Singareni colony, Autonagar, Nacharam, Balanagar, Musapeta, Borabanda, Maradepalli, Santosh nagar, Amberpeta, golnaaka Purana Pool, Asif Nagar, jira Tippachaputra and Redhills. A reflection of the refilling centers continue to be large Nalu coming. In these centers, the gas from domestic gas cylinders has been found to be filled in small cylinders and vehicles. Recent Special Operations Team Police have conducted illegal gas dump fabrication in the carnane search conducted in Bastille in urban areas. However, there are criticisms that the Citizens Department officials do not take any steps to prevent the illegal transfers of gas. So far, my respective department officials react to the need to take steps to prevent the illegal rendering of the LPG refill.